She is a visionary who is helping NFPW move to an online communications contest. It was a labor of blood, sweat and tears – and many all-nighters — to accomplish the task. She is a professional at everything she manages. Many members asked me what could be done to recognize Katherine Ward and all her efforts on behalf of an organization we love. I was honored to present her with the NFPW President’s Award at our September conference in South Carolina to recognize her efforts. She is the wonder woman who lead the way to our new online communications contest. Met unique and unbelievable Katherine Ward. Katherine Ward accepts her NFPW President’s Award. 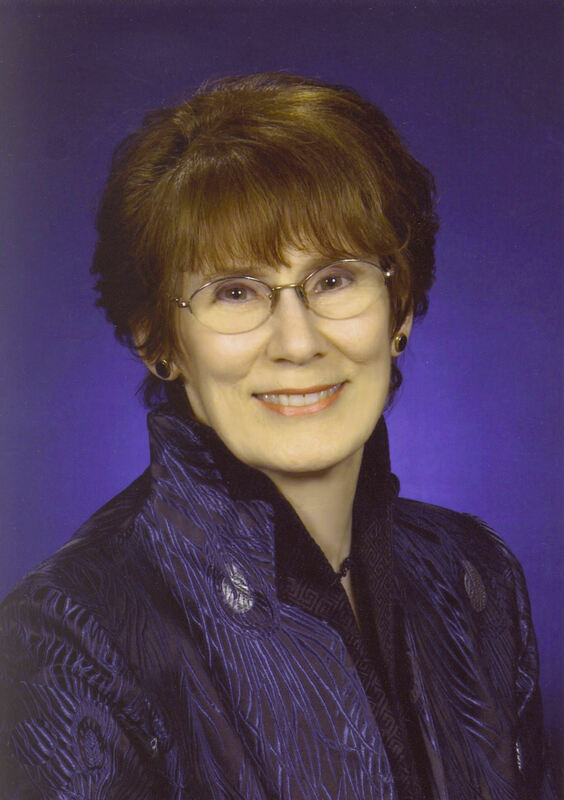 Leadership positions: She has served on the NFPW board of directors as an adviser to several presidents and, together with Jane Lee (Kansas affiliate), created the NFPW membership brochure. She has held many DPA board positions, including newsletter editor and communications contest director, and two terms as president. Director of NFPW’s 2003 national communications conference, “Brave New Media World,” hosted by DPA and held in Wilmington, she was named DPA’s Communicator of Achievement in 2007. Katherine received a B.A. in English and a secondary teaching certificate from Bucknell University in Lewisburg, Pa., and an M.A. in English and Irish literature from Simmons College in Boston. Writing and editing have been a constant in her life and early-on led to a job as newsletter editor and PR director for the Museum of the Confederacy, in Richmond, Va.
She is co-author/editor of two books on Delaware women and is a national award-winning editor of numerous books, including Write Home for Me (Random House Australia, 2006), a memoir by Australian journalist Jean Lamensdorf and the extraordinary year she spent working for the Australian Red Cross in the stifling field hospitals near the front lines of battle in South Vietnam from June of 1966 to June of 1967. Katherine says, “The author and I wore goofy smiles, to say the least, when we learned that by the second week of publication the book was number one on the bestseller list in South Australia – with The Da Vinci Code at number eight.” The author received first place in the 2007 NFPW Communications Contest for writing, and Katherine received the first place for book editing. That same year Katherine also received a first for editing the DPA quarterly electronic newsletter, a first for a PR campaign for the 25th anniversary of the Hall of Fame of Delaware Women (HFDW), and a second for the PowerPoint presentation she created for the awards banquet for HFDW’s 25th anniversary, featuring each of the then 92 women, including her mother, inducted into HFDW since its inception in 1981. The PR campaign and The Legacy Endures, the accompanying book about the honorees that she edited, helped the Delaware Commission for Women, HFDW’s sponsoring organization, gain national recognition. 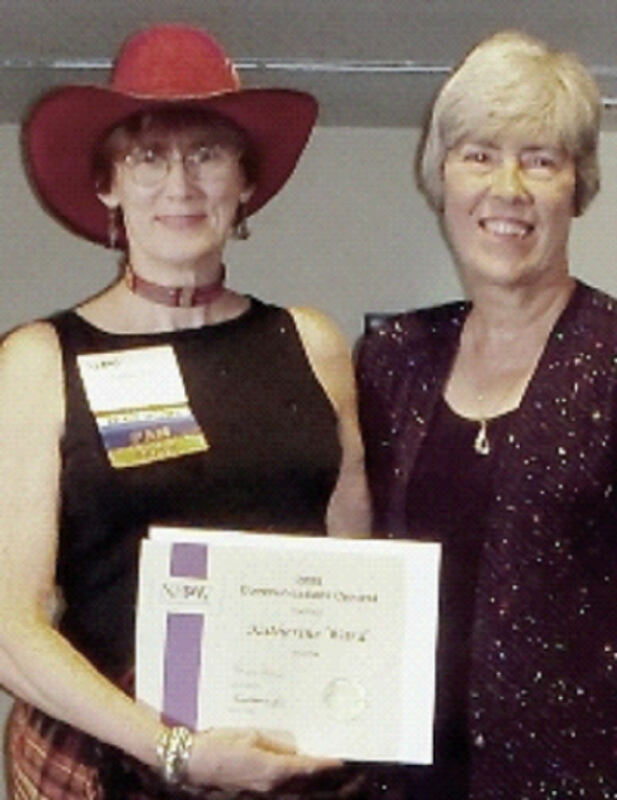 Katherine Ward, left, accepts a first place award from Marsha Shuler for book editing in 2007. Almost all of the books Katherine has edited — including memoirs, young adult fiction, a scholarly book on religion — have received a first in the NFPW contest. Other NFPW contest awards: a first for a speech (eulogy for Sally Rinard, a high school classmate and DPA/NFPW colleague), and a first for a media kit for “The Power of the Student Press: A First Amendment Workshop” that DPA held for Delaware High School journalism students and featured former NFPW President Marj Carpenter as the powerful and captivating keynote speaker. For several years she was president of the Prison Arts Advisory Board for the Delaware Department of Correction. A longtime board member of the Delaware Coalition for Open Government, she serves as director of membership and created and maintains their website. A native Texan, she has lived in 11 states, but called Delaware home throughout her childhood and has again for the last 25 years, living in the house in Wilmington in which she grew up. She and her mother, Mary Sam Ward, a founding member of Delaware Press Association, co-authored (and Katherine edited) Delaware Women Remembered (Modern Press, 1977), a Bicentennial gift to the state of Delaware and the first book to chronicle the lives of Delaware women. 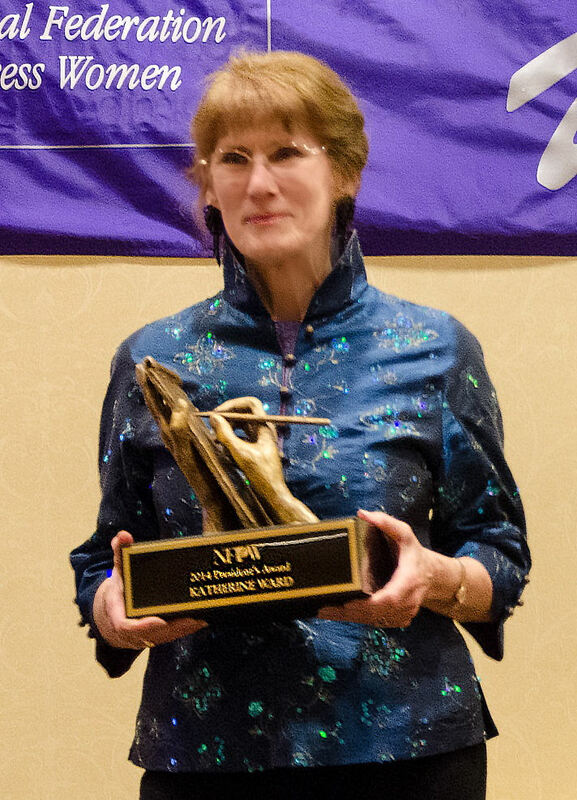 Katherine was honored to name Mary Sam one of NFPW’s Women of the Millennium at the Alaska conference in 2000. She missed the Arizona conference in 2012 because she was orchestrating two 50-year high school reunions, taking place within a few weeks of each other. She got her favorite Christmas present ever when Santa brought her a radial arm saw. She says she was born to be a carpenter. She gave up playing league softball at 40 even though her spikes still has some life left in them (too many opportunities to get hurt), but still plays golf occasionally. Since 1993, she has made more than 3,000 bags of 10-Bean Soup for her church’s Green Show (a two-day Christmas bazaar that raises money entirely for outreach into the local community). She gives some bags to DPA for their annual holiday luncheon, and profits go toward professional development programs. A bag or two can be found in the NFPW Silent Auction every year. You can bid on one next year. When need be, she can still pull 2 or 3 all-nighters a week and not be cranky. She makes the best crab cakes in the state of Delaware. Over the last two years, Katherine has edited Flivverin With You, a collection of love letters written by Ken Slifer and Caryl Dutton from 1923 to 1928. The letters (nearly 400 survive), penned by the grandparents of one of Katherine’s DPA colleagues, Wendy Scott, and curated by her mother, author Diane Slifer Scott (three books on Habitat for Humanity), create a fascinating rear-view-mirror glimpse into the nature of life and love, as experienced by two extraordinary young people in the 1920s. The letters stopped when Ken and Caryl were wed in September of 1928, but the love affair continued for the next 63 years. The book, illustrated by Ken’s beautifully painted envelopes and endorsed by Jimmy Carter, will be published this month. See more of Ken’s artwork at http://www.flivverinwithyou.com. Katherine has two sons and two granddaughters. Her husband, Jim, often goes on the NFPW pre- and post-conference tours, has served as the photographer for several NFPW events over the years, and counts many NFPW members among his good friends. Call 302-655-2175 or email DelawarePress@aol.com. This entry was posted on October 7, 2014 at 7:26 PM and is filed under Uncategorized. You can subscribe via RSS 2.0 feed to this post's comments.